Bachelor of Music in Music Education and Master of Music in Instrumental Conducting from Syracuse University. 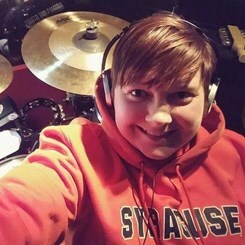 Erica is a frequent pit orchestra member in many local theater events and is a music teacher in the Syracuse City school district. Request Lessons with ERICA today!